After lot of persuasion the Center has accepted to provide land compensation in addition to the airport project cost as a special case for Arunachal Pradesh. Arunachal Pradesh chief minister Pema Khandu. File image Northeast Now. 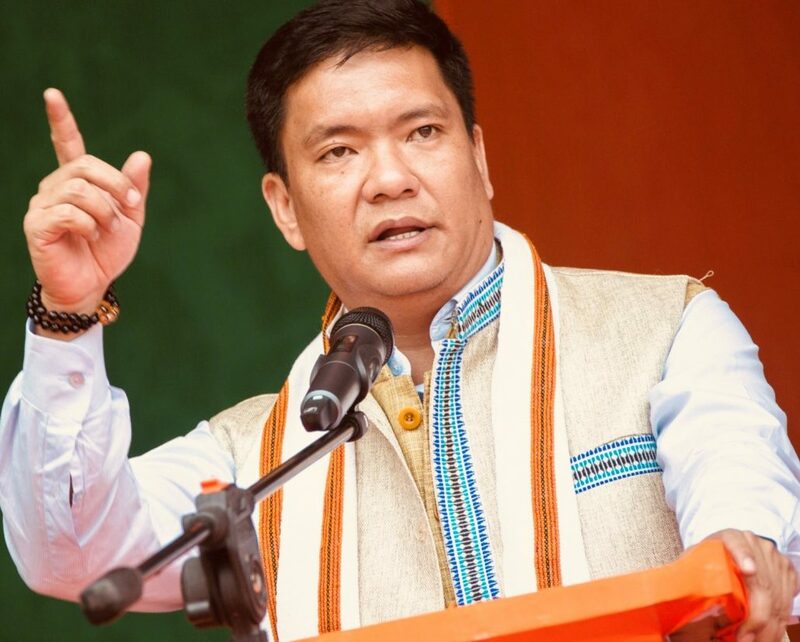 Arunachal Pradesh, chief minister Pema Khandu on Tuesday expressed anguish over the reported objections raised by few sections of the society over land compensation rates related to Hollongi airport near Itanagar. “I had promised the people that I will make the Hollongi airport a reality in my tenure. It pains my heart to know that when the project is about to take off, few people are raising objections. I want to tell them that please understand the airport is not only forHollongi but the entire state,” he said. Khandu informed that after lot of persuasion the Center has accepted to provide land compensation in addition to the airport project cost as a special case for Arunachal Pradesh. He made a fervent appeal to the people to think and act in larger interest of the state discarding individual benefits while dedicating the first-ever in Arunachal Pradesh steel arch bridge over River Kurung at Laayangin Kurung Kumey district connecting Sangram and rest of the world with Nyobia circle here on Tuesday afternoon. The double-lane bridge will become the lifeline of several villages in Nyobia circle besides providing connectivity to remote circles of Parsi-Parlo and Damin. Constructed at an estimated cost of Rs 1116.52 lakhs, the bridge spans 96 mtrs, work on which began in 2015 and was completed recently in September 2018. Dedicating the bridge to the service of the people, Khandu lauded constructing firm, M/S Buru Enterprises, and executing agency PWD for achieving the unique distinction of successfully constructing the first-ever steel arch bridge of the state.